October | 2012 | Om nom nom! Found this one on Chow and it was a great dipping sauce for homemade dumplings. I added a little bit of Sriracha for some zing. Dumplings are possibly my favorite food. I don’t think I ever get tired of them, and I recently decided I wanted to learn how to make them myself. I got a bamboo steamer, some wrappers and wonton skins, and away we’ve gone! And we have not been disappointed. I got this recipe from my Asian Dumpling cookbook, by Andrea Nguyen, which has been awesome so far. 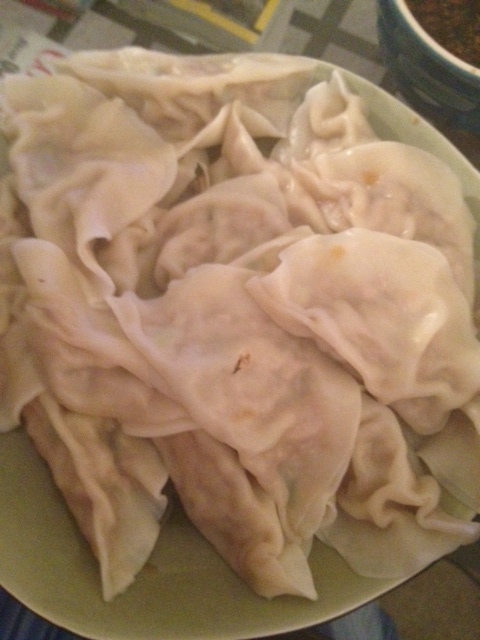 This was my first attempt at making dumplings from scratch, and they were a hit. I did use store-bought dumpling wrappers, but after subsequent trips to H-Mart, I think I have enough ingredients to start trying to make my own. In theory, they taste better and are more forgiving when wrapping (a good thing, I must have destroyed a lot of wrappers while learning to do this!). 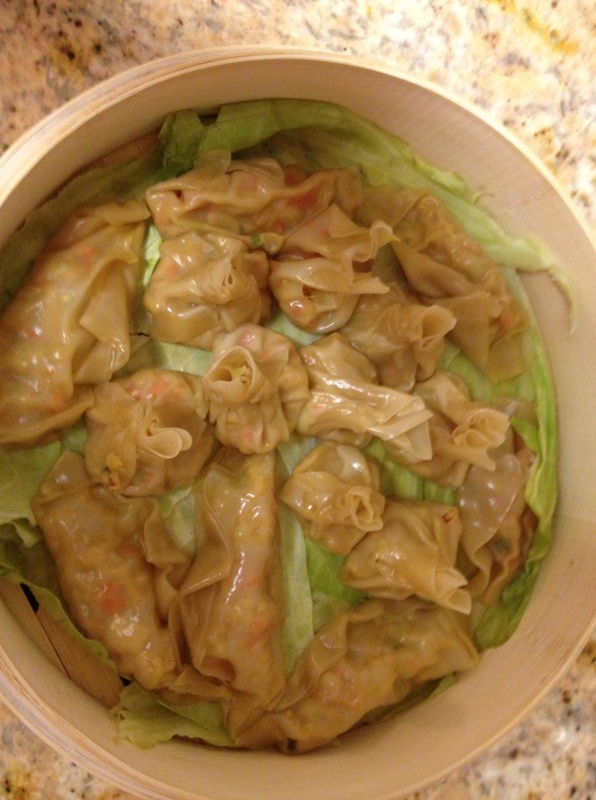 This is a great starter recipe for learning dumplings! From my Asian Dumplings cookbook, by Andrea Nguyen. This is a recipe I got from Cooking Light a year or so ago, and I’ve made it a couple of times now – it’s a great weeknight meal by itself or you can dress it up with some sides. The recipe below is as printed, though I do not like anchovies very much and I substitute a handful of chopped black olives in their place with much success. 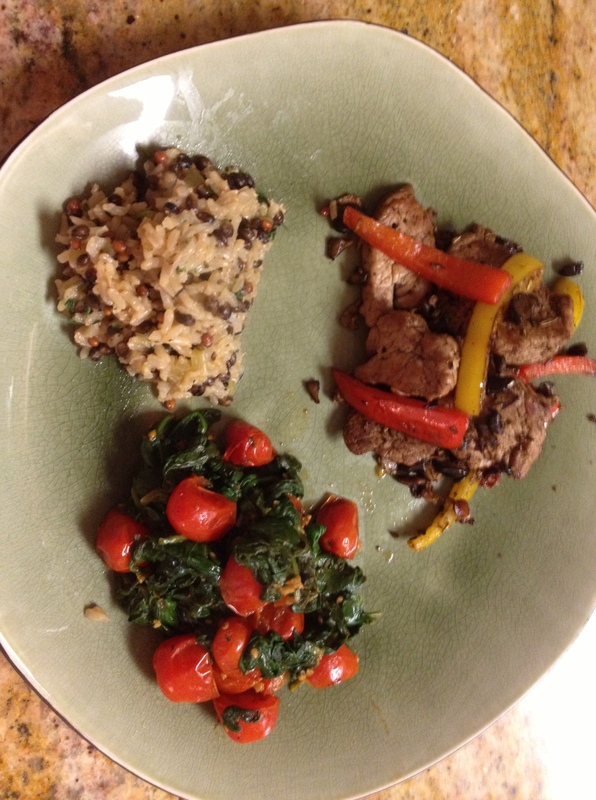 I served this with sides of Spinach and Tomatoes and Herbed Brown Rice Pilaf. Quick no-brainer veggie side dish to use up some leftovers in the kitchen; turned out to be very tasty and colorful. Spray pan with cooking spray, and saute tomatoes over medium heat until lightly browned in places. Add garlic, cook about 30 seconds, then add spinach with a splash of veggie stock to aid in wilting. Sprinkle with salt and pepper. This is a great side dish, and it could be easily scaled if you wanted to make it for a crowd. I use a brown rice mix to give it some variety, and add additional veggies/herbs that are in the fridge. This could also be done with wild rice, though the cooking time would be longer. An extra chicken from El Pollo Rico last night (yes, we got two, don’t judge) led us to contemplate what we wanted to do with leftover chicken. 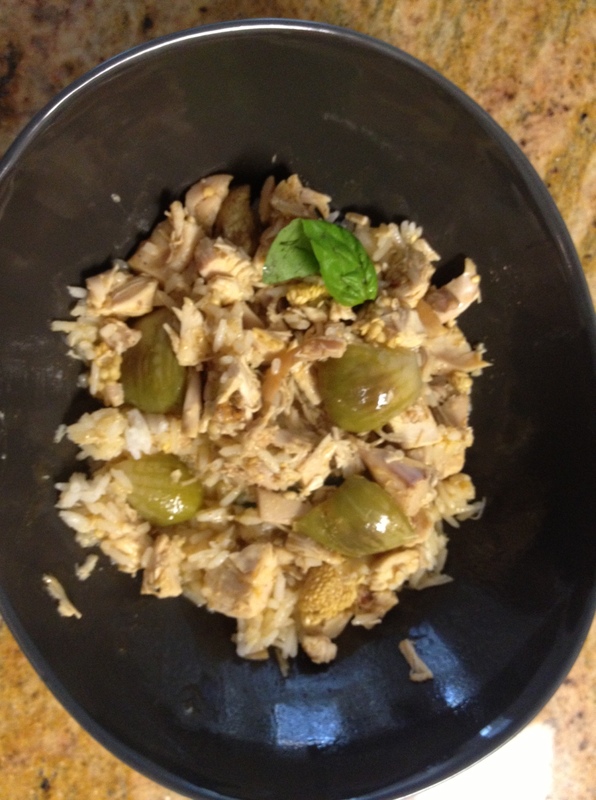 My immediate answer was chicken curry, and I love this Thai chicken curry…super simple and always delicious. No Thai basil on hand today, but it was still good with regular basil.